Bobbi Brown’s eponymous makeup line is a household name, but for her latest endeavor she chose a makeover of a different kind: working with her husband, attorney and real estate developer Steven Plofker to metamorphose the once forgotten Georgian Inn into The George, a design-minded, boutique hotel located in the heart of Montclair, New Jersey (just 12 miles west of New York City). The couple are longtime residents of the quaint town, which Brown has referred to as “the Brooklyn of New Jersey,” putting down roots the day after returning from their honeymoon and raising their three sons there. 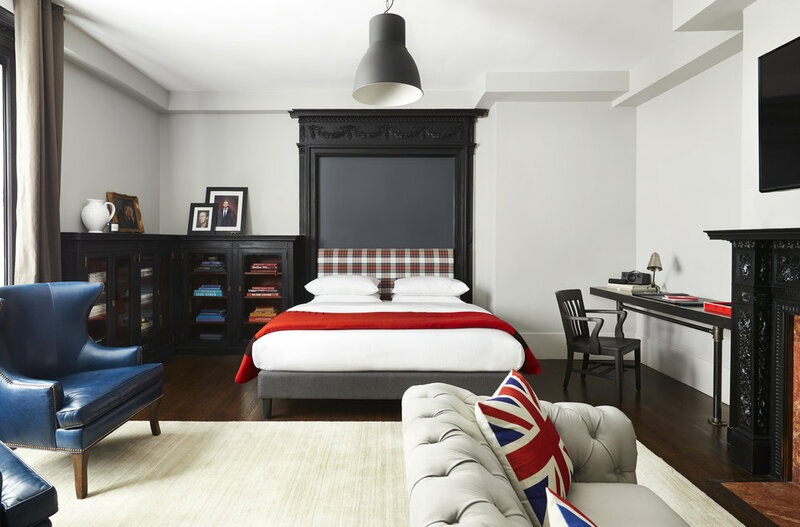 The George is a boutique hotel in the heart of Montclair, New Jersey. Built in 1902 as a private residence by Charles Van Vleck, mostly notably known as the architect for the Rockefeller family, the property was converted to The Georgian Inn, a residential hotel for short-term stays, in the 1940s. During this period, the Montclair branch of the French Institute Alliance Française (FIAF) relocated its New Jersey headquarters to the Queen Anne carriage house located at the rear of the Inn. A closer look inside a room at The George. The historic building was granted a landmark status in 2008, but years of less-than-attentive upkeep caused it to fall into a state of disrepair. 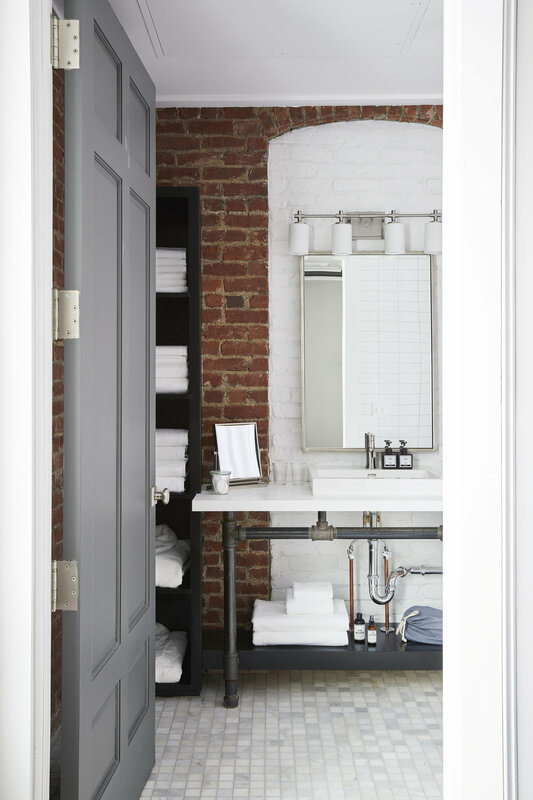 After Brown and Plofker acquired the property in 2012, they embarked on full-scale renovation that was mindful of preserving the building’s handsome original architectural details. Inspired by their shared love of travel and indie hotels around the world, Brown and Plofker designed each of the 32 guestrooms to have a bespoke look and feel that is distinctly different from one room to the next. 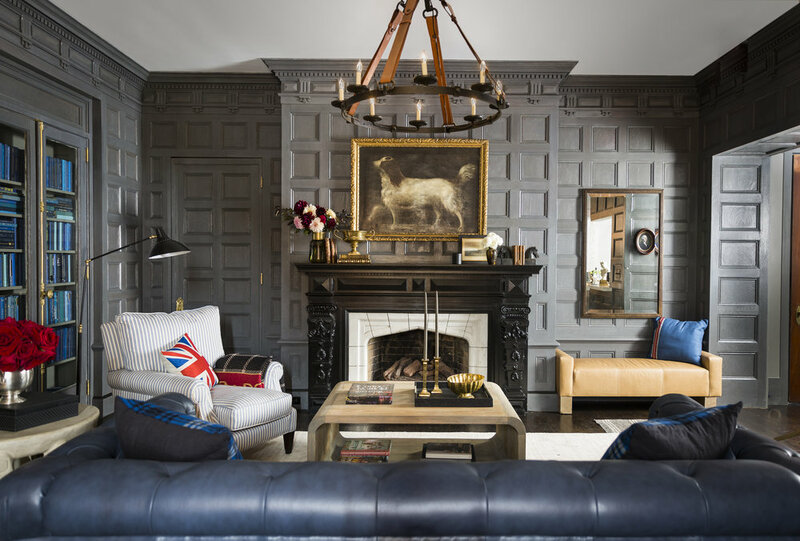 Design-minded with a sophisticated style that is both worldly and chic, public and private spaces deftly incorporate design elements that encompass traditional, modern, masculine and industrial influences. Guests can expect uncompromising comfort and luxe touches in each space, combined with top-notch amenities from The George’s best-in-class partners. These include Casper (mattresses and pillows), Flaneur (duvet covers), SMEG (mini in-room retro refrigerators) Dyson (hair dryers), Nespresso and EO Products (bath amenities), among others. For more information and reservations, visit thegeorgemontclair.com.